Dirty pools are not only visually unappealing, they are also a risk to health and hygiene. Finding a company you can trust to handle your residential swimming pool cleaning is no longer a chore with Southeast Pools! 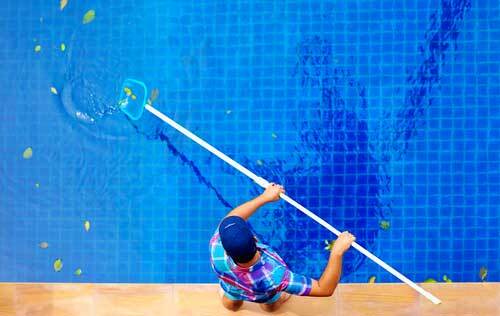 We handle not only your residential swimming pool cleaning but also residential swimming pool maintenance. By properly skimming, vacuuming, brushing tiles, cleaning baskets, cleaning filters, & performing other needed residential swimming pool cleaning & maintenance needs, Southeast Pools will ensure your home pool is the pristine oasis you deserve. When you contact Southeast Pools for residential pool cleaning, we first visit your home swimming pool to determine the exact needs your pool requires.Our pool technicians will develop a fully customized plan to handle the maintenance & cleaning of your home pool in Orlando. No matter the size or type of pool, if you have an enclosed pool or open pool, Southeast Pools can do the job. Because we take the time to visit you and your pool, the quote you receive from Southeast Pools will be accurate, so you don’t have to worry about hidden fees and costs. All of the residential swimming pool cleaning service plans we offer in Orlando, Fl include maintenance of your home pool as well. With Southeast Pools handling your residential swimming pool cleaning & maintenance needs in Orlando, Fl, you can “swim easy” knowing that the job is being done by trained,certified, & insured professionals.